Media Access Control meant to to be a Physical Hardware Address System used by Ethernet. 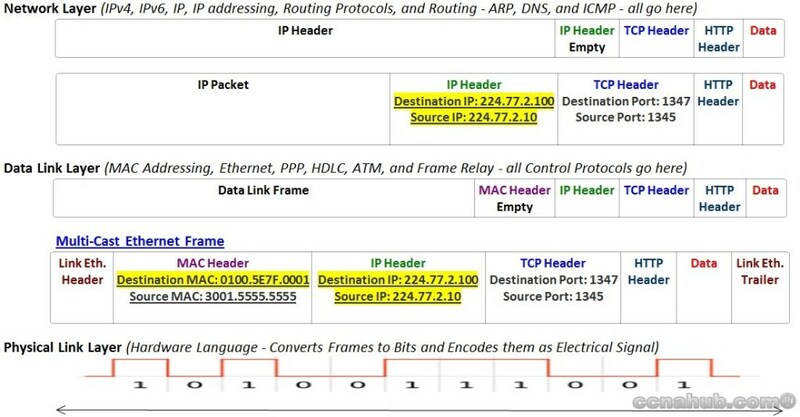 Understanding Ethernet MAC Addresses will help you grasp how Ethernet transfer frames filled with packets across network devices using MAC Addresses format. So, if Network Layer package Packets using IP Addressing system which is a logical Addressing system, then Ethernet frames or load those packets using a physical Addressing system that meant on the hardware level. Each network device in this world get its own unique 48bit MAC Address which will be used only by Ethernet Technology. The moment you hear MAC address, think Ethernet is being used regardless of the Media (cable type) is being used between the devices such Copper, Fiber cables, or even over Wireless radio wave. Is it IPv4 or IPv6 Frame? An Ethernet MAC address is a hardware address, therefore, it MUST uniquely identifies every Ethernet device in the world. When vendors create network devices such Ethernet NICs, wireless devices, routers, and switches, they burn-in these addresses into their devices. Is another name for MAC address or an Ethernet Address. 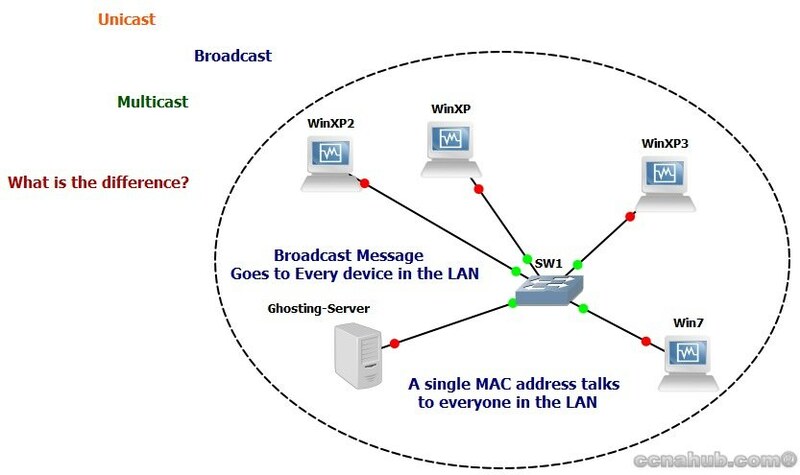 Every MAC address represent a single NIC in the world; hence, it is called Unicast (Unique) Global Address. Meaning to everyone – Frames sent using this address should be delivered, received, and processed by all devices on the Ethernet LAN or VLAN. Broadcast conclude 12-digit Hexadecimal address with value of FFFF.FFFF.FFFF inserted into the destination filed of the Frame. 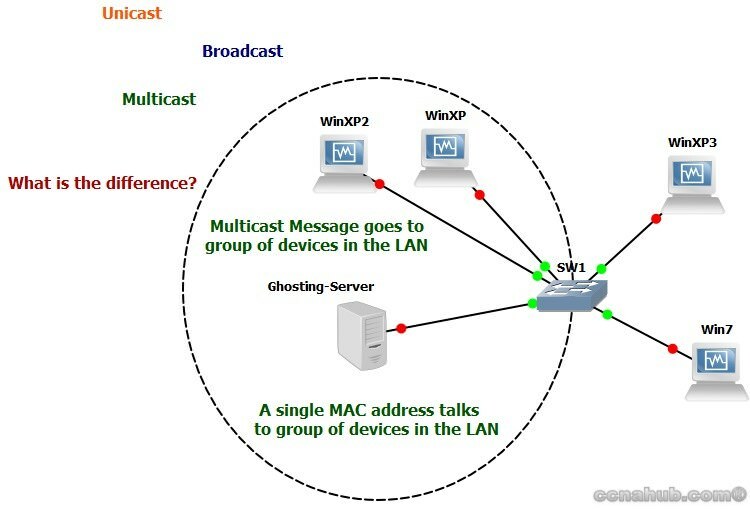 To a specific group – Frames sent using Multicast Ethernet address will be copied and forwarded to a subset of devices on the LAN that volunteers to receive such frames which sent to a specific multicast address – for specific group only and NOT to everyone. It is a 12-digit Hexadecimal with most of the time carries the following value 0100.5E7F.XXXX, this is an official (IANA) Multicast address. 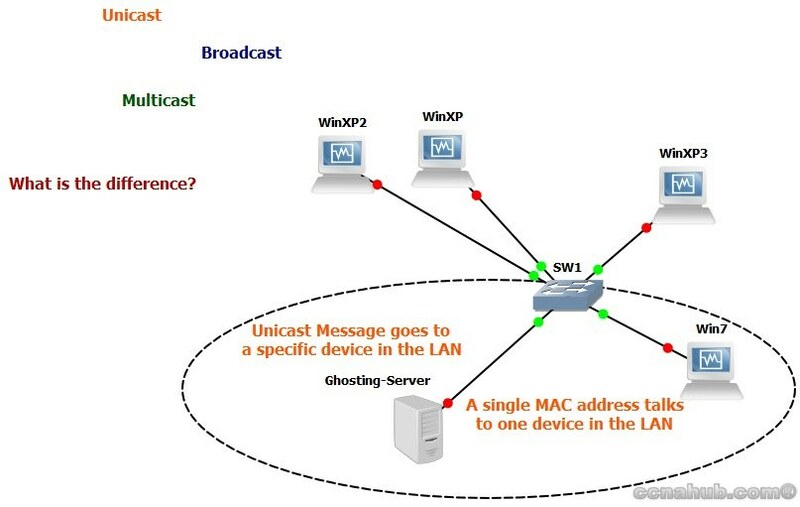 Note: Unicast Address is the mostly used Media Access Control Address among network devices. How would PC1 figure out R3’s Unicast MAC Address for the first time? 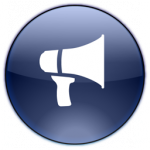 In order to learn R3 MAC address, PC1 announces or broadcast through Address Resolution Protocol (ARP). PC1 sends broadcast frame using ARP Message Request, creates an IP packet indicating R3’s IP Address (192.168.1.1) as destination (which is known to PC1 through DHCP or Static IP configuration), and encapsulates the packet inside a frame indicating an ARP Message Request as Broadcast address (FFFF.FFFF.FFFF) inside the frame. After receiving an ARP Reply Message and learning R3’s MAC address, PC1 can now use R3 as next hop for outside routing, and can create an IP Packet destined to Web-server’s IP address. 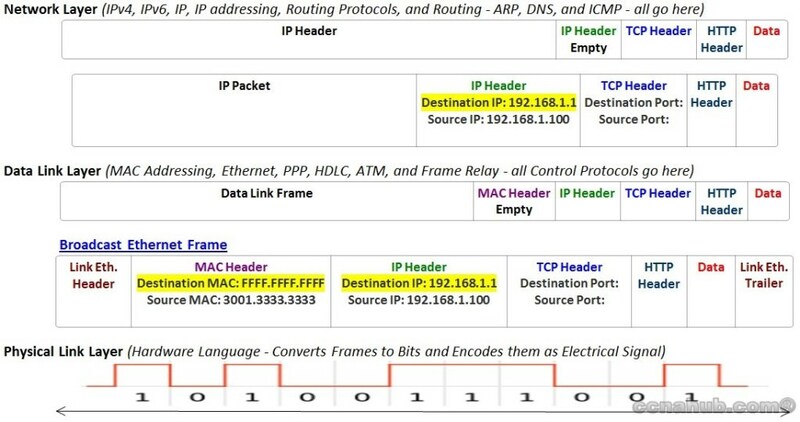 PC1 in the following figure creates a new IP packet indicating this time Web-Server’s IP address as destination IP address (172.16.10.20), and encapsulates the IP packet inside a Frame heading to R3’s MAC address as next-hop since PC1 knows now the R3 MAC address. Multicast frame used in special cases for a specific group of computers. The following figure shows a Multicast Frame message, e.g. from a Ghost-Server heading to group of computers on the network and PC1 could be one of them. Usually, devices volunteer through a Ghost Client loaded by CD or USB on the PC to receive this type of message. So how would an Ethernet Address Assigned to Manufactures? 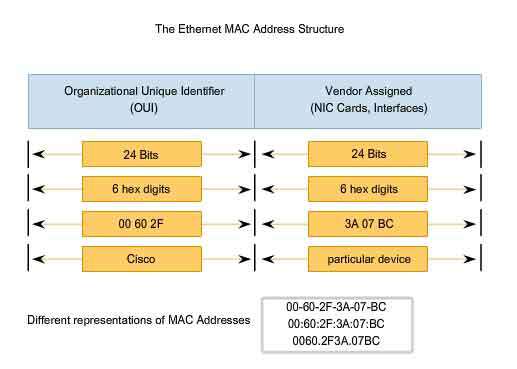 Since it must be a unique number, all Ethernet devices are assigned a Universal Unique MAC Address. Before a manufacture can build Ethernet NICs or Interfaces, it must ask the IEEE group to assign the manufacture a Universally Unique 3-byte Code, called Organizational Unique Identifier (OUI). Media Access Control Address (MAC), Burned-in Address, data link address, hardware address, physical address, or MAC address, all these names refer to the same exact 12-hex digit hardware address that is used by any NIC or interface in the world (1001.2222.3333 – Cisco style MAC Address) and (AF:02:CD:EE:71:AB – PC style MAC Address). Remember, Network devices initially need the help of Address Resolution Protocol (ARP) to learn each other MAC addresses once they are plugged into an Ethernet LAN network switch or hub. Identifying which Network Layer Protocol being used is crucial for Network devices to distinguish when Dual Stack is being used (IPv4 and IPv6 Internet). 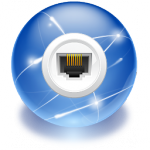 The Ethernet Type Field (EtherType) sits in the Ethernet data link layer header, but its purpose is to directly help the network processing (TCP/IP Stack) on routers and hosts. Basically, the Type Field identifies what type of network layer (Layer 3) is being used inside the packet that sits inside the Ethernet frame. 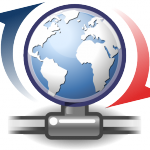 Internet uses 2 Types of Internet Protocols: IPv4 and IPv6. So, what number should the sender put in the header to identify an IPv4 Packet or an IPv6 packet? As it turns out, the IEEE manages a list of EtherType values, so that every network layer protocol needs a unique EtherType value can have a number, however, only 2 types are being used these days: IPv4 and IPv6. 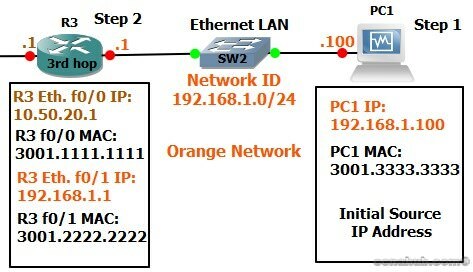 Notice that the Ethernet Frame doesn’t change to accommodate IPv6 packet. 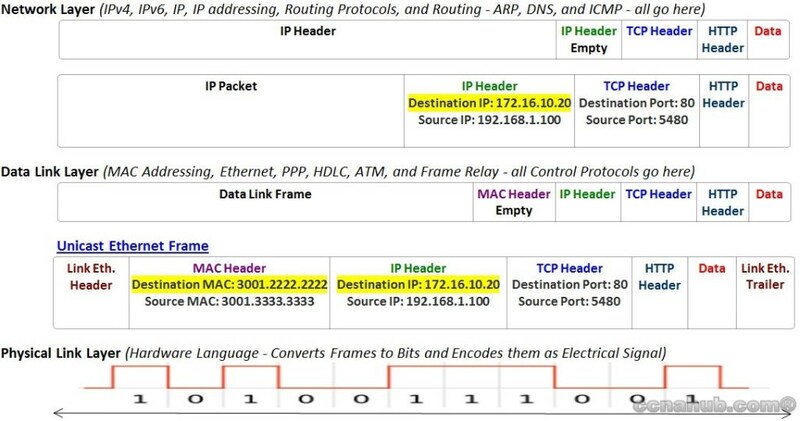 Ethernet keeps the same frame as is whether IPv4 or IPv6 is being used, the only thing changes is: the Ethernet Type Field number: Either 0800 for IPv4 or 86DD for IPv6. The Ethernet Frame Check Sequence (FCS) field in the Ethernet Trailer – the only field in the ethernet trailer – gives the receiving node a way to compare results with the sender, to discover whether errors occurred to the frame on the way. "Understanding Ethernet MAC Addresses", 5 out of 5 based on 1 ratings. The notion that MAC addresses must be unique is wrong! Most professional grade network gear get their MAC address configured by the network administrator. Google "locally administered mac address" to see what I'm talking about. Well, it's like Public vs. Private IP Address. You can if you want configure 2 local machines using a (Public IP addresses) that is known only and only by these 2 machines locally, although these 2 Public IP addresses are being used some where on the internet. MAC addresses is no difference, you can spoof mac addresses internally as well. Button line, when it comes to Public Network (not LAN neither EoMPLS), every MAC address and Public IP address must be unique. Maybe the technology nowadays doesn't require unique MAC addresses at some networks, however, it started this way and I believe is going to continue this way at least at the public side as pre-caution measures.